About a month or so ago, the Cuppow team added a new product to their line-up. 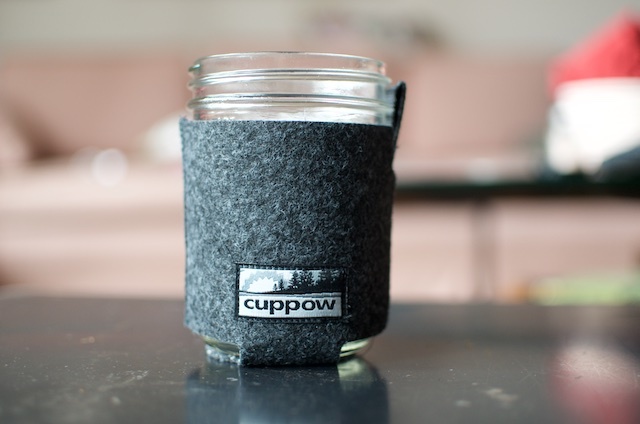 Called the Cuppow Coozie, this snug-fitting jar jacket works with most wide mouth pint jars and is made from recycled plastic PET bottles (those are the ones with a #1 on the bottom). The material is called pfelt and is durable and feels good in the hand. I’ve had a Cuppow Coozie in my life for about a month now, and I’ve been using it a lot. Back in January, I made a private resolution to only get take-out coffee if I had a reusable cup with me. Because of this, I almost always tuck a travel mug of some kind in my bag before heading out (I never know when the urge to grab a cup will strike). Before the Coozie landed in my mail box, I had been using a Contigo Autoseal mug. It’s a very well made mug, but it insulates so well that in order to bring the coffee down to a drinkable temperature, I’d need to remove the lid for an extended period of time. To my mind, that defeats the purpose of a travel mug. What I appreciate about the Cuppow Coozie is that it provides some insulation (and hand protection) while allowing the coffee to cool naturally enough that I can manage to drink it without removing the lid or waiting half the day. 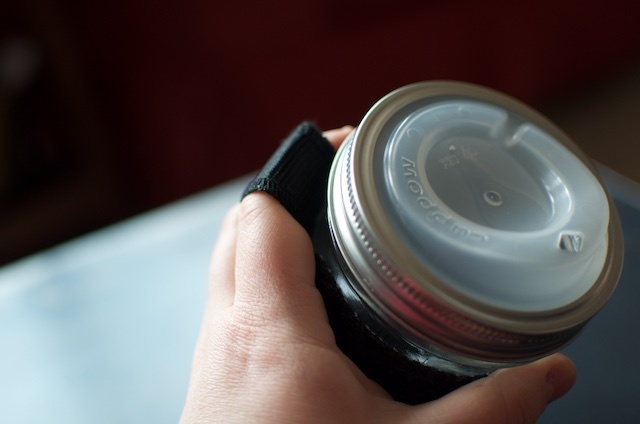 It also comes fitted with a little finger loop, making it easy and comfortable to hold and drink from the jar. I’ve started taking a jar fitted with a Coozie with me whenever I’m planning on working from a coffee shop, which is something I do at least twice a week. My two favorite shops both offer reusable mugs if you plan on staying awhile, but far too often, I’ve managed to spill coffee everywhere when using their ceramic mugs. Using a jar fitted with a Cuppow lid and Coozie means that my risk of spillage is much less (additionally, both shops offer a small discount if you bring your own mug, so I save a few pennies each time). 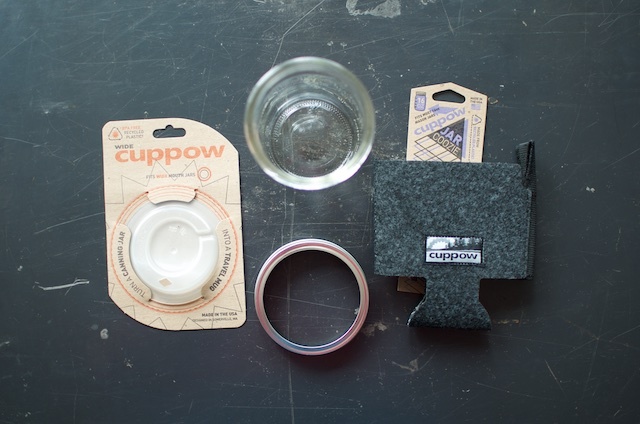 The kind folks at Cuppow have offered up five of their Complete Glass Travel Mug set-ups for me to giveaway. Each one contains a wide mouth pint jar and ring, one Cuppow lid, and a Cuppow Coozie (just like what’s pictured in the first image in this post). Oh, and if you don’t want to wait to see if you win the giveaway, the travel mug kit is on sale right now for just $24.95. Leave a comment on this post and tell me what you’d put in a Complete Cuppow Glass Travel Mug. 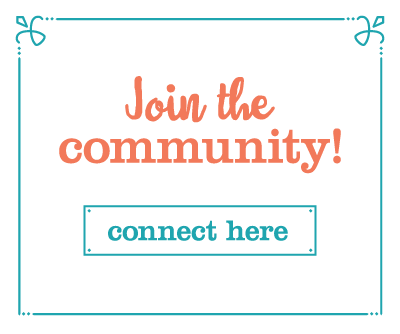 Comments will close at 11:59 pm eastern time on Saturday, May 16, 2015. Winners will be chosen at random and will be posted to the blog soon thereafter. Giveaway open to United States residents only. Void where prohibited. One comment per person, please. Entries must be left via the comment form on the blog at the bottom of this post. Disclosure: The Cuppow team sent me one of their travel mug kits for photography and review purposes. They are also providing the units for this giveaway. 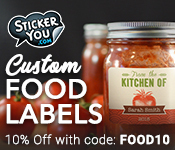 Additionally, they are a Food in Jars sponsor. 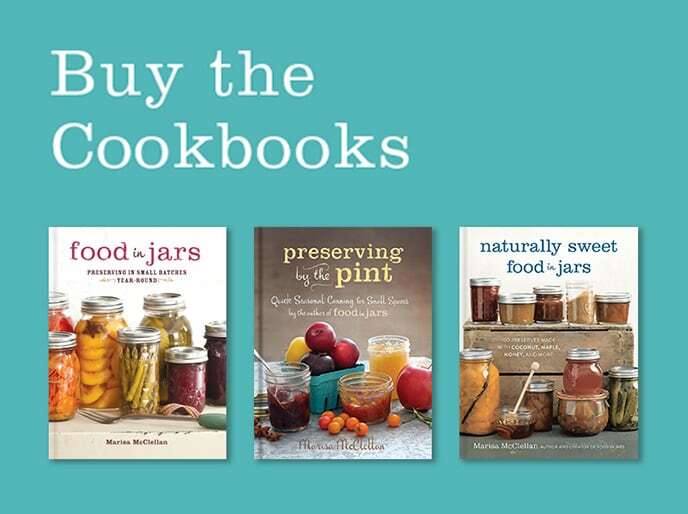 However, I would write about their products even if they didn’t help support this site because they are good and useful, particularly for those of us who are preoccupied with jars. Tea. Either iced or hot. Tea Lattes – Nuke the milk in the jar, pour the tea over. Done and done. This would be so awesome for my morning tea at work!! Plain ol’ black coffee. Thanks for the giveaway! Tea. I try to only drink liquids with calories sitting down and paying attention to the drink. Tea (no milk or sugar) is my “to go” drink . Coffee, black- hot or cold brew depending on the weather! Coffee on my way to work in the morning! I love a good cup of cranberry tea or at night chamomile tea!! My fiance is forever forgetting his travel mug on his work trips, so I would tuck this into the little mess kit he takes with him. He would, no doubt, use it for coffee with almond milk. Great idea! Hmmm, probably hot or iced coffee and my daily green smoothie. Smoothies are hard to drink from my other insulated travel mug and leave a big green mustache on my face! I’d use it for some hot tea. Or hopefully iced soon, if it ever warms up! I would put my iced blackberry peach tea in the mug to take to work. Coffee which is very needed as I leave the house at 5am, for work. coffee, coffee, and more coffee. Did I mention coffee? Then, maybe iced coffee if it’s crazy hot. I’d take my overnight oats to go in this great set up! Coffee all the way — hot now, iced in a month. Thanks for the great giveaway! This would be perfect at work. Free coffee and a lovely cup to put it in. I love using my canning jars so this would be great. Coffee, coffee, coffee! preferably mocha! chai tea latte!! Yum! Thanks for the giveaway! So many things– coffee, tea, smoothies. I have been known to take them along in a naked, lidless Mason jar, which is always just a little dangerous! Coffee for my morning ride. Assuming it ever gets cold again. Mmmm, my new favorite- Matcha lattes! Earl Grey tea, or a hearty breakfast blend tea with a little sugar. I like Cuppow’s innovations. Either black coffee or black tea for me. Plenty of iced coffee and iced tea. Coffee would go in mine, pour over with half and half and sugar if I make it at home, or a latte if I get it out and about. I would use my travel mug kit for tea! Specifically, my favorite tea, which is a dark British blend with a touch of sugar and plenty of milk. Yum. Tea–loose leaf, of course–with a splash of milk and a little spoonful of sugar. Let’s be honest, a big spoonful of sugar! With an occasional indulgence of chai. My husband would use this for hot or iced coffees or maybe tea. He always checks when we’re at a store selling mason jar like cups to see whether or not they’re glass. They’ve always been plastic 🙁 so he hasn’t bought one yet. This would be perfect. I think I’d put some iced coffee in there, or fruit infused sparkling water! I’d use it with iced cold brew coffee! A mocha monkey from the Bozeman co-op! Coffee for me or tea for my husband when we take a long car trip. Now that the weather is warmer, an iced caramel mocha. This time of year it’s iced coffee (my own, if I’ve the forethought to have it ready). Otherwise it’d be nice to take tea – I’m partial, and I’d be nice to have *good* tea when I’m out, instead of always having to opt for coffee to avoid nast-tea. I’m envisioning an ice cold lemonade infused with fresh rosemary. Mmm. A lovely latte. I’ve had to cut back my caffeine consumption considerably, so that latte has taken on a new, indulgent quality. Iced green chai with sweetened condensed milk. Or coffee with half and half. I would use it all day from my morning coffee work commute to my water & coffee/tea throughout the day! When people do not bring their own cup to my work each time they get a drink from the coffee maker or water cooler they use a disposable styrofoam cup. That’s maybe 5-8 cups per person per day! That is outrageous! So not only would I save all of those cups from the landfill but I would strive for change at work & lead by example using my new cuppow set up! It would also be really nice to have the lid, I don’t have an office & I have to leave my cup unattended in a break room. I would use it for tea as I am not a coffee drinker. I drink Harney and Sons loose Earl Grey Supreme and Celestrial Seasonings Bengal Spice or Rooibus Safari Spice. I will also occasionally have Safeway Select European Cafe Style Hot Cocoa. For now, chai… but if I get myself a present (home espresso maker!) when I get a job (crossing fingers for July! ), I’ll use it for a homemade latte. I’ll put my homemade Mexican coffee in it. That’s strong coffee, a big tablespoon of World Market’s dark chocolate cocoa, a teaspoon of their “Mexican Cocoa” mix, plus nearly a teaspoon of ground chipotle chile. People, if this doesn’t get you going in the morning, you’re on your way to the morgue. Chai, always chai. Hot when it is cold out and iced when it’s not! I would use this for steamed milk lattes sweetened with the salted caramel syrup I just got for Mother’s Day. I seem to be developing a new habit now that a coffee shop has opened up between home and work…so I’m pretty sure it would be some kind of coffee! Kansas City Roasterie Dark Mojo coffee with a little (okay, maybe more than a little) of Carolans Irish Cream. Cold brewed iced coffee with sweetened condensed milk, because my husband is Vietnamese and that’s how you drink iced coffee! Mmm! We get some amazingly bad coffee at work, so I’d fill my jar with cafe con leche from the shop down the street! Water with a splash of juice and ice………my goal is to reduce sugar intake and just a bit of juice in water is as good or better than those expensive flavored waters. Seems the perfect size for coffee, which is my hot beverage of choice. Cold brewed tea. I’m really enjoying the fruity flavors lately like raspberry and cherry! It is the perfect coffee mug, which is my morning drink of choice! Right now it would be iced coffee, but depending on the day, or time of a day, it may just be water or tea. Wait, if it’s the witching hour (after school, before dinner) it would be a brandy old fashioned. Yes. Old Fashioneds. I would keep it in my car and use it for coffee,tea and also cold bverages. Hot delicious coffee! And iced tea, iced water and hot chai tea. Yum! I think I am going to go make a drink! Coffee! Or milk kefir, yum. Iced coffee. At least twice a day. My winter herbal tea stash — homegrown blend of opal, christmas and lime basil plus lemon verbena and a dried Meyer lemon slice. Some days I would have a chai latte, some days a mocha and some days tea. i love it all. I could see this being good for iced drinks that sweat as well as hot ones that need a coozie to protect your hand…so since it’s just gotten hot out, I’d put iced herbal tea in it! Oh the coffee I’d drink with that beauty! coffee! cold brew, this time of year. Love to put my morning smoothie in it! Tea right now, it is finally raining in Pdx! And iced chai latte sounds like just the ticket! I would drink either hot tea with lemon (either black tea or lemon ginger), or on a hot day some Arnie Palmer (I make my own rather unsweetened version). I like the reusable idea! I would take anything from coffee, tea, or smoothie in my jar. 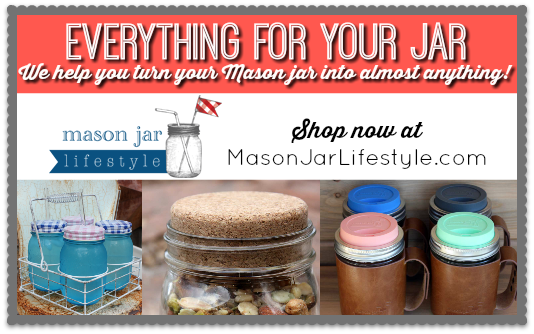 Jars are also easier to wash than the tall skinny cups we have. In the morning I would start out with coffee and then switch to a cold lemonade drink if it’s hot afternoon and in the evening; maybe a bit of wine. Earl Grey tea with one raw sugar! Home-brewed vanilla chai from The Whistling Kettle (http://www.thewhistlingkettle.com) or a chai from my favorite coffee shop True Grounds (http://truegrounds.com) for my travels to work. Or leftover smoothie on the weekends. A great way to bring iced tea or a smoothie to work! Strong black coffee, then off to face the world! Hot tea or iced tea, depending on the day! I need 2! One for coffee, one for tea! I drink coffee on the way to school which is an hour away and tea on the way home! I love the idea of this! 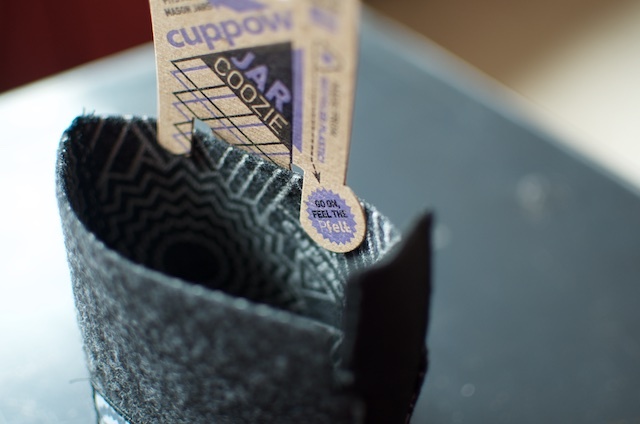 Winning the the Cuppow would be perfect foru upcoming travel to take snacks on the flight and use it for drinks later. This time of year — iced tea with lemon. And maybe a leaf of fresh mint! A “fake-ito” – limeade and mint. Hot tea or hot cocoa with a splash of Bailey’s Irish Creme or Frangelico! Coolness. I’m with #99! Alas, I work 6 morning out of the week so no treats in my coffee until Sunday morning! But a cuppo Chai is superb as well! My husband takes coffee with him to work in a glass jar every day. I know he’d love the extra insulation of one of these coozies!! I would definitely put coffee or hot tea in it depending on which I wanted at the time. I would put sweet iced coffee in my travel mug. And eventually, my sweet husband who says I steal his shirts, would take over the mug and use it with his hot coffee on the way to work in the morning! I drink tea all day beginning the day with tea with lemon and honey. I also like the occasional cup of mocha. I’m sure I would use it to put my homemade mocha that I take with me whenever I travel anywhere over 10 miles. The Cuppow travel mug set looks great. I have been enjoying lemon ginger tea this spring and that would be good hot or cold on the go. I’d put hot tea (chai or mint) and smoothies in the travel mug. I love the grey color! Looks soft! I would give this to the hubs and he drinks just plain old coffee. I like to take water with me when I go anywhere in my car. I’m not a coffee or tea drinker, so I’d have hot chocolate in it in the winter and water in the summer! Delicious iced coffee! It takes me so long to get through it that it often warms up before I’m done drinking. I would put some GOOD decaf coffee in it! This would be perfect for my hot tea in the morning. Without the lid, I think it would be great for my oatmeal at the office! I’m a big tea drinker…..this would be great! I bring coffee in a travel mug every day, but the stainless-interior mug I use still has a plastic lid, which gets a little icky. I’d use this for my morning coffee, then rinse it out and use it for ice water all day. I take coffee to the dog park every morning. Would love to use this on my trips. Iced coffee vanilla latte made from cold brewed coffee concentrate. what could I not put in it? Hot tea, sweet tea, rum & coke, margarita(because you know it is 5 o’clock somewhere) coffee, cold lemonade, etc – possibilities are ENDLES! I would put hot chocolate in it on cold days, & rhubarb lemonade during the hot days of summer. Love this! I’d put my lemon water or iced tea in it. Great idea to sell this all together. It’s warm in my neck of the woods, so I’d fill it with lots of ice, water, and lime slices. My favorite: iced hibiscus tea! 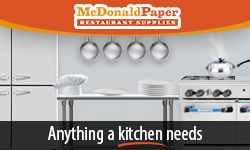 My employer offers discounts at our on-premise dining facilities for those who use re-usable coffee cups. It’s hard to carry a regular mug without spilling it, so the Cuppow system would be great. Not only would I get a discount, but I’d feel better about not filling up a landfill with the rubbish-residue of my coffee habit. i would use it to hold my morning cup of tea. My lemony iced green tea of course…thanks! This would be great for my morning hot tea habit! Definitely ice herbal tea…I love it! Would love to win this great giveaway! I would send this kit straight away to my son for his morning tea. I worry about him using a glass jar with no protection/cushioning so this is perfect. I would use it for my morning coffee! I’d put my morning Kombucha or afternoon tea in it. I already often drink it from a jar! Coffee, tea, herbal, iced…I carry something almost everywhere I go!! Chemex/French press coffee in the morning and rooibos in the afternoon. This time of year with,our temperatures already hitting the low 90s it would be iced tea. Collier months are all about hot cocoa, hot tea and chai latte. I will put all sorts of things in my mug. 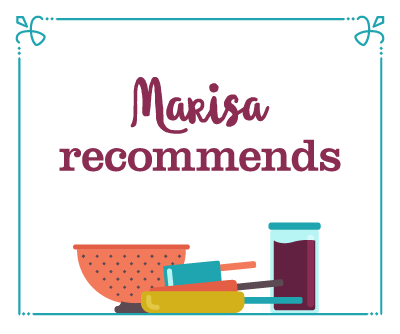 I loved reading your blog post because it sounds like me! I tend to not use ceramic or regular mug due to my nature of spillage (the Valdiz of coffee :} However, I tend to have 2 – 3 containers of liquid on my desk at any given time. The probabilities of what are contained therein: coffee; water; Kefir; hot tea; Iced tea; Arnold Palmer; hot chocolate; milk; carbonated beverages; and the list goes on. Currently I am using my Contigo but I don’t like how insulated they are and how I have to wait to drink my coffee! I would put my brother’s coffee in it! He’s starting a business with a friend – https://instagram.com/hatchetcoffee/. This would be perfect with it! This would be great as I’m going to be stuck in a wheelchair for a while. It would be perfect for my morning tea. Wow what would I not put in it? Love it. I would put a fresh aeropress coffee in there! I love the grey felt! I really love all these Cupow products they are so versatile. I would put any beverage in this from my sweet tea to my coffee. Thanks for the giveaway! Happy Canning! In the morning, coffee; later in the day, iced tea. I would drink a lot of hot coffee and hot tea, so this would come in handy for me. Hot tea when it’s cold, iced tea when it’s hot. 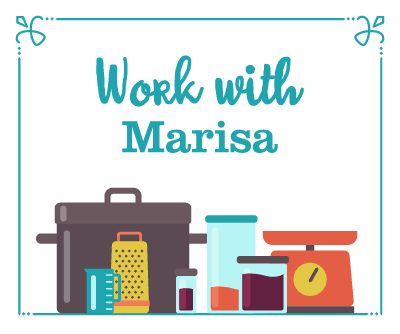 I would love to win this because my son keeps taking my ceramic mug and I have a supply of mason jars. Can’t stand the taste of tea in a plastic, metal or, worse yet, styrofoam cup! Tea or coffee, either option sounds nice. When it is cold, hot tea. But now that summer is on the way – iced tea or water with lemon. Water, straight up water!!! I need a cozy that will keep the water cold without ice. Thanks for another great giveaway. TOday I’d put some warm chai tea in it…last week in KY when it was HOT I’d have put our families vodka slush in it! I would put coffee with sugar-free hazelnut syrup and some 1/2 and 1/2. My morning ritual! I take my coffee to work every day. This would be great for drinking it while on the train instead of waiting until I got there (because it was so hot). coffee, coffee and more coffee! Coffee or jasmine green tea! During warm weather when I am out in the yard working I need to stop work and get a drink. Many times that drink is water only an iced coffee would be nice too. I like the looks of the CowPow travel mug because bugs could not get into drink. Ice tea, hot tea, hot chocolate. Anything but coffee for me. Tara, my apologies that this giveaway isn’t open to Canadians. I do try to include you guys whenever possible, but my partners often impose limitations! So sorry! Yummy tea, either moon tea brewed in the jar for the next day or something fresh brewed for now. Maybe herbal? Maybe rooibos. I would take my Hot Chi Latte with me to work! Coffee, coffee, and more coffee. For real though, I am pretty sure fate heard my burned-hand cries and answered my prayers for a mason jar cozy. Love this! I wish I were drinking iced herbal tea, but it’s still hot chocolate weather here! Fruit and/or herbal ICED teas. And when I say ICED, I mean ICED! It’s only May and hit hit the 90’s today. It feels like summer already. Sure would like to try that coozie to see if it will keep it colder longer and stop it from sweating so quickly. Sweet! This would be perfect for a to-go smoothie. Great idea about not buying coffee out without a cup. This cozy would wrap nicely around my soft drink on the go! Strawberry lemonade, cherry lime ade, sweet tea, chai, water, anything liquid. I would be so thrilled to have a real cuppow. For my sons 5th birthday party I made redneck cups, by drilling a hole into a wide mouth lid and using it for his birthday party. That was three years ago when I was just problem solving not being able to find cool cups for his birthday party. I would love to be a grown up. P.M.- tea for the afternoon pickup and requisite playground time! I would use the mug for my coffee in the morning and herbal tea in the afternoon! iced coffee in the morning! Iced teas in the summer, hot teas and coffee in winter and smoothies year round. I WOULD LOVE TO WIN THE Complete Glass Travel Mug. Single origin Brazil aero press that my husband roasted for us yesterday! Thanks for asking the question, it made me smile to think of such a delight. French press coffee or smoothies…yum! In the warmer months, iced coffee from my Keurig….I’m in CA, they’re almost all warmer months 😉 For our month of winter (or in my icebox of an office) hot coffee from the office Keurig, or hot cocoa once I’ve surpassed my maximum caffeine limit for the day. Almond milk iced latte — the drink of the summer! For the morning, I would fill it with chai tea then, in the afternoon, ice cold lemonade. Coffee, coffee and more coffee. I’d have a nice hot cup of tea. I’d love to put some hot (or iced!) mint tea in there. I think it would also work nicely as a barrier to the cold! iced coffee, need cold protection too! with one of those maybe I wouldn’t get a bee in my tea while relaxing out in shade of Maples on hot day. My cold summer lemonade or iced tea. I am still on the hot chocolate kick. Temperatures will fall into the low 30’s tonight. Hopefully, next week back to iced coffee. I would use it for hot tea in the mornings, I work on a farm stand early mornings and it get soooo cold while unpacking cold veggies.this seems like such an easy and helpful solution to over using my coffee mugs, I could always just use different jars! Creamy iced coffee is my ideal traveling companion. Iced coffee with coffee cubes. Never leave home without the Cuppow! Coffee. I hear your complaint about well insulated cups keeping coffee too hot for too long. I’ve been making chia drinks and this would be perfect for those. I would fill it with coffee and our fresh cow’s milk cream! Coffee in the morning, water in the afternoon. I’d love to tote my morning tea or smoothie in this, and keep it handy for any on the go coffee cravings that may strike! I ‘d probably use it most for coffee (to be honest), cuz I usually have to hit the ground running and my car ‘s cup holders are too small for jars, and I can never find the travel mug that does fit (when I need it), and I always have jars, so that’s what I fill with coffee… and then there I am on the highway trying to steer, open the jar, steer, drink coffee, steer, close the jar. Iced tea sweetened with a fruit syrup. A lovely bit of strawberry lemonade. In our house we’d fill it with whatever juice came out of the juicer that morning. Then rinse it out and fill it up with coffee to go as I head outside to do morning outdoor chores and take the kiddo to school. Thanks for an awesome product! In the summer – ice water with fresh mint & lemon. In the winter – hot tea. I would put my morning coffee in it; iced in summer, hot in winter! I would definitely use this all the time, whether for hot tea, my occasional mocha, or iced tea in the summer! this would work great with Thai Iced Tea! This looks awesome. I’ve never seen the Cuppow coozie before. I would use it for many things, but mostly for coffee or tea, both hot or iced! I’d love this for coffee and smoothies! I would put nettle tea it my new cuppow. It’s my newest way to fight spring time allergies! Since I buy coffee out quite often, this looks real handy, to carry in my purse, when I am out and about. It’d be awesome for cold brew coffee! Definitely a nice summer smoothie! Id use it for ice water or energy drinks. I’d use it for hot tea with lemon and honey. I travel a lot; what a fabulous idea. hot coffee or tea. Yum! Red Zinger tea — it’s good hot or cold! This is such a cool kit! It would be perfect for tea in the colder months and lemonade or iced tea in the summer! The cozy design is elegant, down to how it wraps the bottom of the jar. I’d use it for hot chocolate, tea, soup, or smoothies. Chai, coffee, water depending on what time of day it is! hot coffee or herbal tea! Morning coffee and afternoon tea! I would make coconut mocha coffee with homemade mocha creamer and add caramel flavored coffee ice cubes for a yummy, summery iced coffee treat! Lots and lots of iced coffee! I would love to put my tea or coffee in this! So cute and so indie! I walk almost three miles to work every day, and always bring a cup of coffee with me — hot in the winter and iced in the summer. I’ve been in the market for a new travel coffee solution, and this one looks perfect! I’d love to win this to use for my daily cup of hot tea. I do love my morning mocha made with our own goat’s milk to go in my Cuppow! Definitely iced coffee since I can never seem to get enough caffeine these days. ohhhhhh! I would love this for my teecino!!!!! Hot tea or iced when the weather gets extra-warm! I would put my morning tea or coffee in there! LOVE Cuppow! My lemon/apple cider vinegar/ hot water combo every morning! Coffee or Irish breakfast tea, but probably coffee. Unsweetened iced tea with lemon slices. Love it! I’d drink coffee in it in the mornings & lemon water the rest of the day! I would put coffee and flavored water in it. I’d have a cup of full-strength coffee, a rare treat but very necessary sometimes thanks to my energetic toddler and very hungry one-month-old! I would put my iced pau d’arco & hibiscus tea in the glass travel mug in the summer, and in the winter some hot rooibos vanilla tea. Cold Brew iced coffee or a smoothie! Oh coffee for sure ; and probably a summery cocktail later in the day! I’m trying to cut back on caffeine so I’d put iced rooibos tea in mine! I would use this for my homemade grape tea!! I could take it easily everywhere. I would put coffee in it! Coffee for sure! I need to slow down on my coffee shop purchases while on the go. i would use it for coffee with cream while writing blog posts! I would keep filling it up with ice tea in the summer & hot tea in the winter. Coffee, tea, water…I’m mobile at the office so a closed mug would be a lifesaver. This is so cool! I’d use it for some of my own chai tea latte blend. I started making my own when the local price went up so much. After some tweaking i think i have the ultimate mix. Pretty standard stuff: I’d use one for a.m. coffee and then water during the day. I think this would be great for my morning coffee! I would put hot chocolate in this cup and share with my daughter. Iced coffee – my current beverage obsession! I would put my Teecino or favorite tea in this cup! Like a lot of other people, I’d put coffe in there!